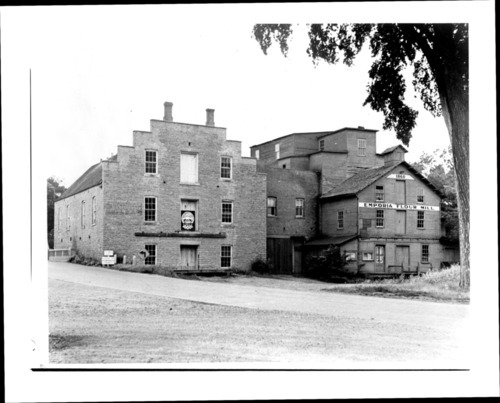 These two black and white photographs show the Soden flour mill and dam along the Cottonwood River in Emporia, Kansas. The two-story structure was built in 1860 by William T. Soden. It later burned to the ground in the 1930s.